Perfect Paradise Vacations | Caribbean Islands, Hawaii, Mexico, Cruises, Central America – Aaah, Paradise! I learned about this incredible, luxurious, all-inclusive resort at an all day event put on by WESTA, the consortium that my host travel agency belongs to. I have to say, I was blown away! When I checked out the prices, especially with the 40% off special they are offering right now, I was even more excited to let my clients know about this fabulous resort which is located in the heard of Nuevo Vallarta, just 10 minutes from the Puerto Vallarta airport. The 1 – 4 bedroom residences start at 1400 square feet, sleeping 3 – 11 guests. There are only 162 residences total, so you won’t feel crowded like you do in some mega-resorts. The 7 villas, each with a private pool, have three bedrooms and are an incredible 3940 square feet. Although this is a fully all-inclusive resort, the residences do include a full kitchen and all the modern comforts & amenities you would find in a luxurious home. Marival Residences & World Spa the inclusions:5 star Gourmet Dining in your choice of 3 restaurants. All beverages, including national & premium brand drinks. Complimentary water, soft drinks & beer in rooms. UNLIMITED rounds of golf (not including cart fee). PrivateVIPBeach Club with full food & beverage service & concierge services. Second all-inclusive resort included with exchange priveliges at Marival Resort & Suites including free shuttle service. Also available for additional fees are the Melange World Spa, beauty salon, tennis lessons, babysitter service, and Bug’s Kids Club. Marival Residences & World Spa has some Perfect Perfect Romance packages, starting with a FREE Wedding Package valued at $2500. The package includes judge fees & Nwedding certificate; decorated location; tropical wedding toast with Margaritas & Martinis, Bride’s bouquet & Groom’s bouttoniere; 3 course dinner for wedding group; 30 massage for the bride & groom; and more. Honeymooners and Anniversary couples will also merit special treatment. That is a start of what you will experience when you visit Marival Residences & World Spa. And, I don’t want to forget to mention, that they are offering some special amenities to travel agents that are members of WESTA – including a $100 Spa Credit. Perfect Paradise Vacations can get you all of these amenities and disounts. Call 206-433-0721. I love to go wine tasting. Fortunately for me, the Wine Bank and Beer Vault is less than a mile from me. They are officially in University Place, but since I live in Tacoma, I’m saying Tacoma. My landlords told me about this wine shop when I first moved in to my apartment. I didn’t make it over until about 6 months later. They do wine tastings every Saturday from 2 – 4:30, and occasionally do beer tastings as well. I would stop in once in awhile for a tasting and to pick up a bottle. The owners, Bob & Linda were always very welcoming. They have some great wineries and vendors in to offer information on the wines they are tasting each week. Recently they expanded their beer section and changed their name to the Wine Bank and Beer Vault. I’ve started enjoying beers more lately thanks to the influence of my niece and her new husband. Since I primarily drink red wine, beer can taste really good on a hot, summer day. (Although, we don’t get a lot of hot, summer days here in the Pacific Northwest.) I do enjoy a good Sauvignon Blanc, Pinot Grigio, or even some white blends when the weather is warm as well. Besides the wine tastings, some of the things I like about the Wine Bank is that they have some great specials, including the “under $10” wall. They are very knowledgeable about their products. I can go in and tell Bob that I like a specific wine (or beer) and would like something similar, and he will give me good advice. They also have a “Beer Rewards” program – they say it’s like getting free beer. Can’t argue with something like that. Once you spend $100 on beer you get $5 free (I think that’s how it works – I just remember hearing something about “free beer”). I recently joined their Passport Wine Club. They pick 2 great wines for you for only $29.99 per month, plus you get 10% off all the wine you buy. My first wines were a Sauvignon Blanc and Pinot Noir from Hunter’s Winery in New Zealand. The Sauvignon Blanc was FABULOUS!! The Pinot wasn’t to my taste, but not terrible. For me, this is another great wine tasting opportunity. They also offer a Discount Wine Club for a one time, $99 fee. With this, you get 15% off all of your wine purchases and pay the fee just one time! There are many reasons to visit this wine shop if you are in the greater Tacoma area. Stop in to buy a bottle or 2, do a wine tasting, meet Bob & Linda, or buy some beer. They offer growlers for as little as $7.95! When I had some time off a few weeks ago, I took several day trips on the Olympic Peninsula. It’s sad to say, but I really don’t get out and explore our own local area as often as I should. I think I take it for granted that I can always do that when company comes to town, or I don’t have other plans, or it’s a nice sunny day and a friend might want to do something fun. I decided that since I was off work and most other people were working, the weather was fabulous, that I would go exploring. I live in Tacoma, so I started by heading over the Narrows Bridge towards Gig Harbor. I always love the view from the Narrows. 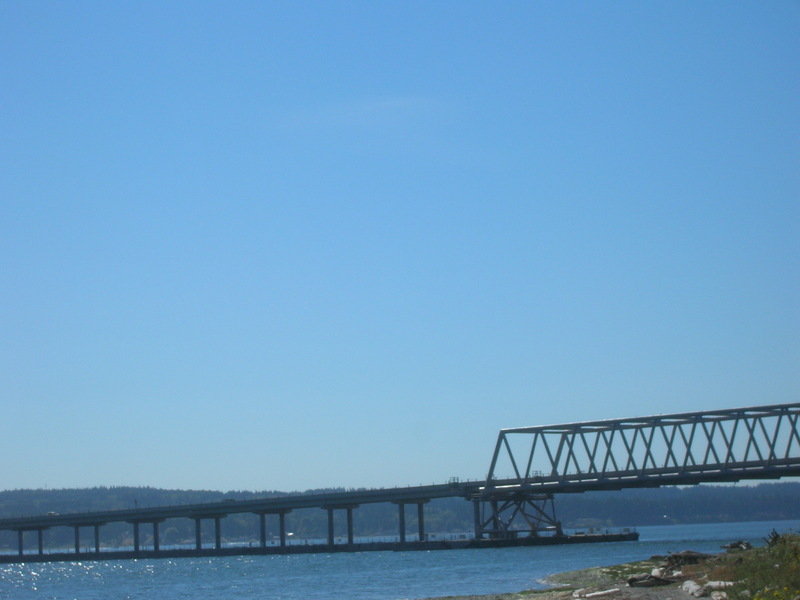 Following Highway 16, I went past Gig Harbor and Port Orchard, turned onto Highway 3 going North at Bremerton. 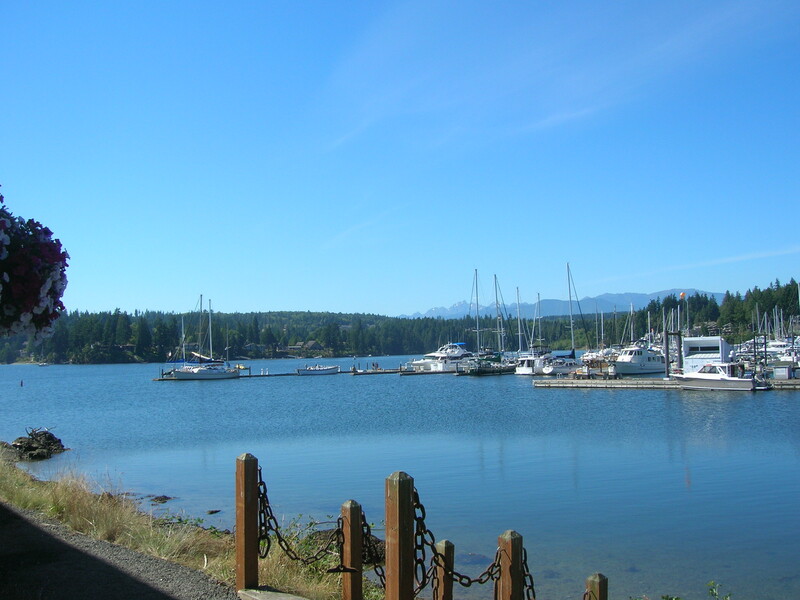 I took a detour to drive through Poulsbo because I hadn’t been for years. This is a pretty little town with lots of shops and restaurants and I filed it away for a day when I can make it my destination. 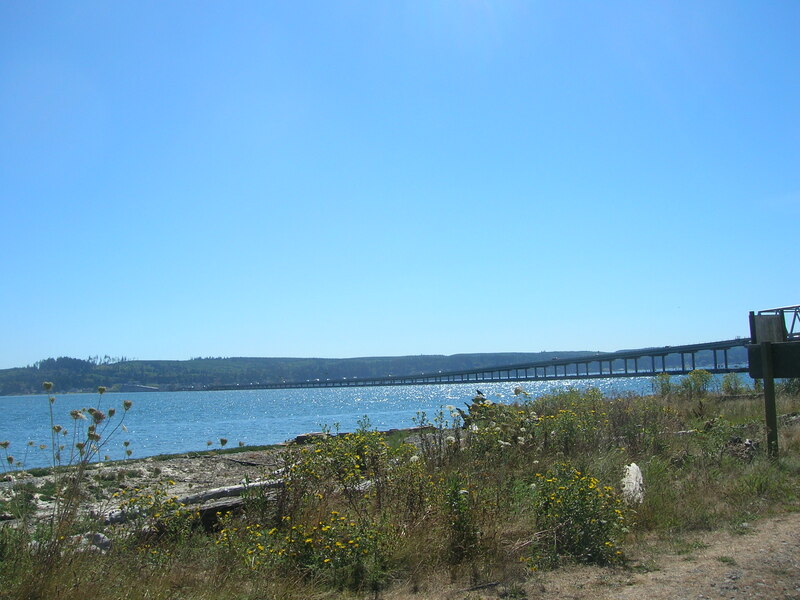 At Port Gamble I turned West onto Highway 104 and crossed the Hood Canal Bridge. What a beautiful drive so far! Incredible views of the water, lots of trees, and very little traffic. 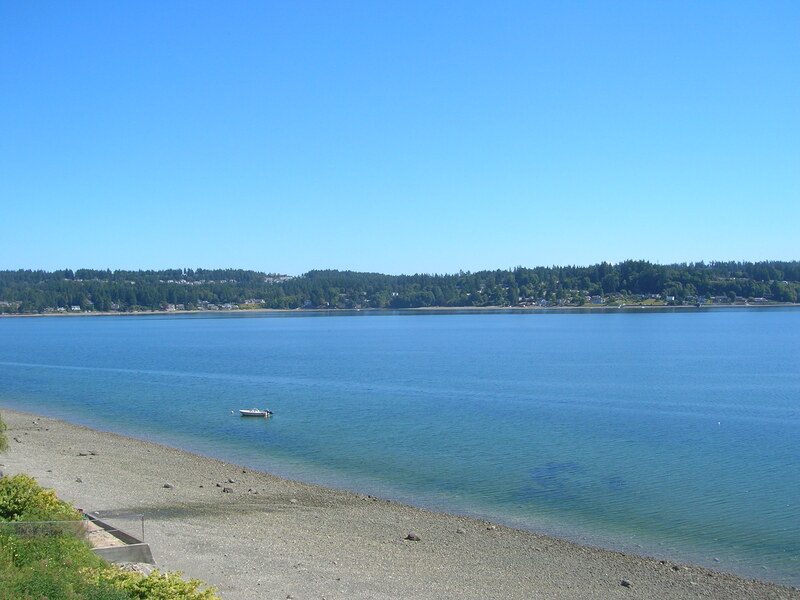 I took another detour into Port Ludlow because I had heard about The Resort at Port Ludlow but had not seen it for myself. I stopped in and the front desk people were kind enough to let me take a look around and even gave me keys to look in 3 different rooms. 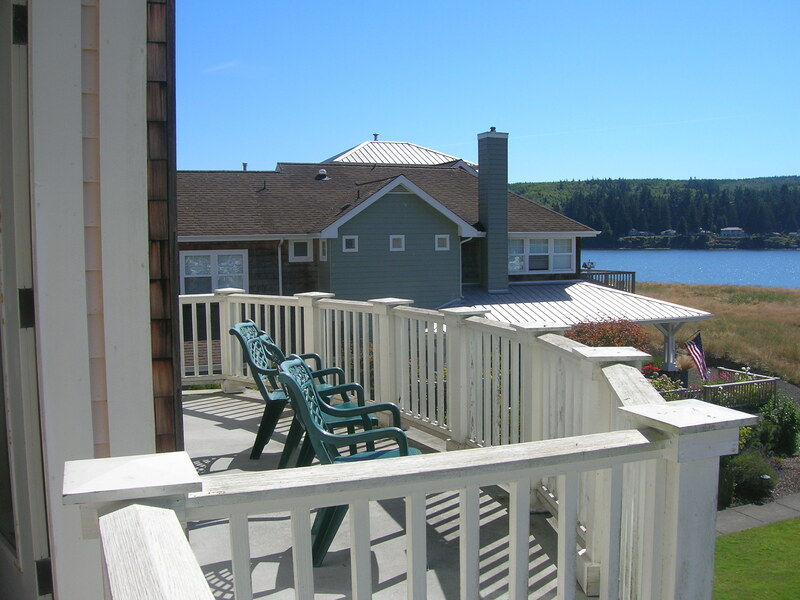 This is a lovely resort right on a marina with beautiful views of the Olympic Mountains, Admiralty Inlet and the mouth of Hood Canal. 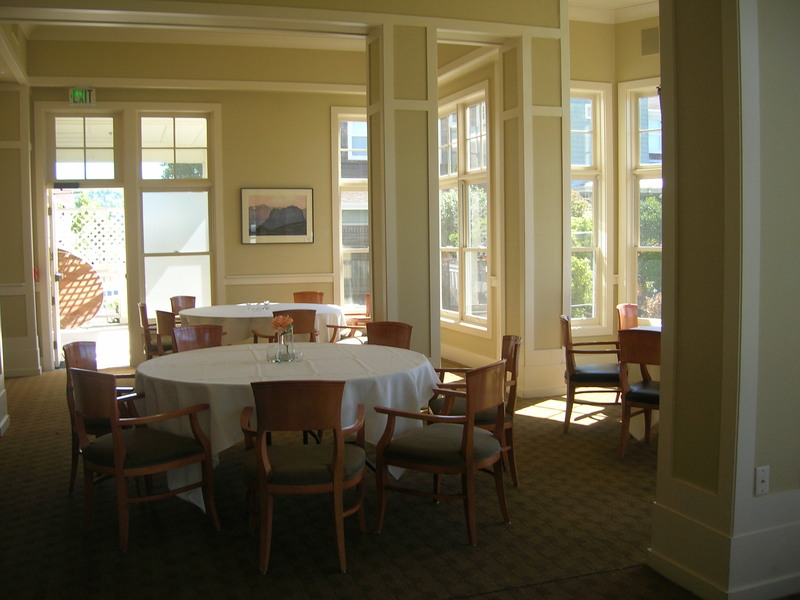 The Inn at Port Ludlow has just 37 rooms and suites; they have meeting space for up to 60, and would be the ideal setting for an intimate, waterside Wedding. It would also be a great romantic weekend getaway location for guests from the Seattle / Tacoma area. 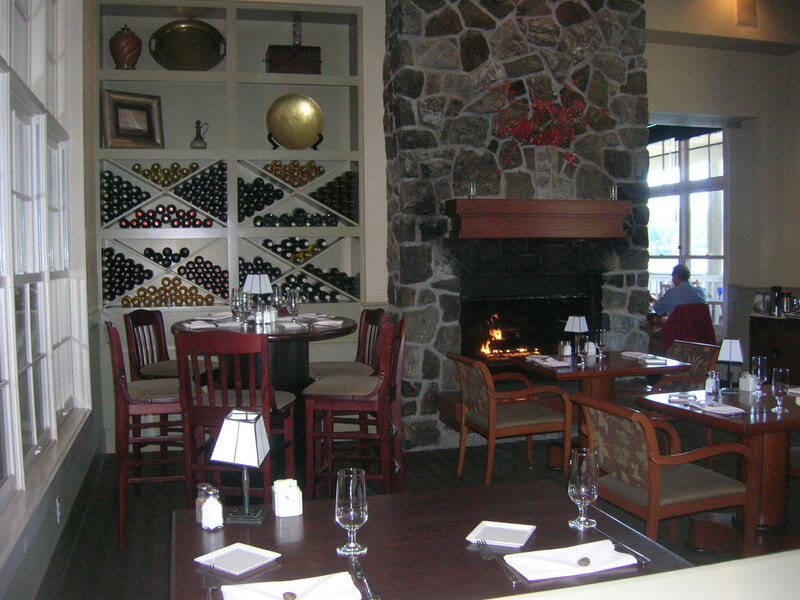 The Fireside Restaurant is warm and inviting, and weather permitting; you can sit out on the deck. There is a beautiful lawn area on the water side of the resort with chairs and benches; I could see myself sitting out here enjoying the sun and salt air with a good book for a few hours. One of the meeting rooms looks out onto this view; it would be hard for me to keep focused on business details while looking across this beautiful expanse of lawn. 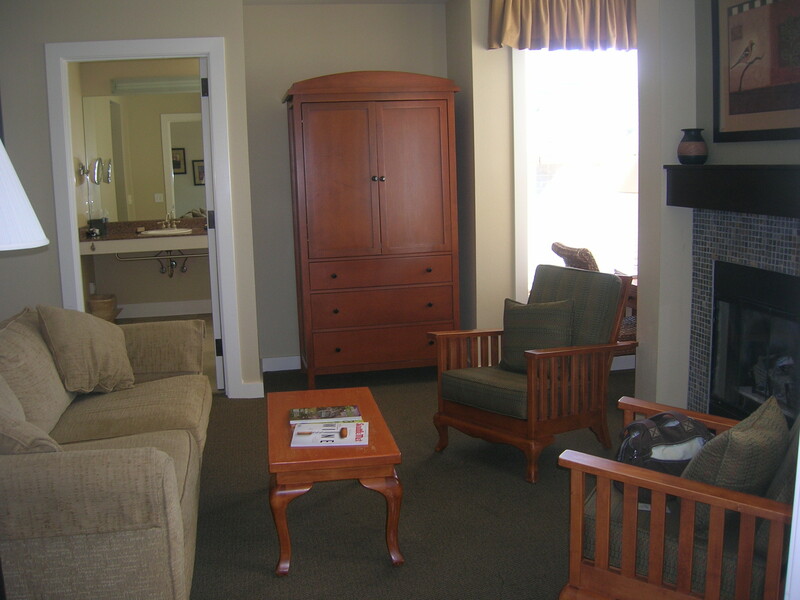 The rooms are beautiful, with fireplaces, mini-fridge, and large bathrooms with jetted tubs, oversized robes and fabulous views. 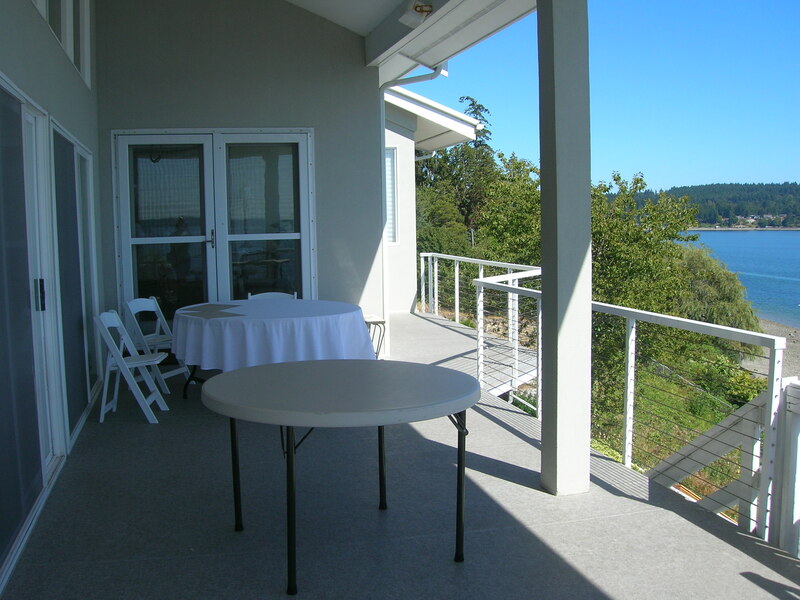 I toured a suite that had a huge deck and fabulous view. The bedroom itself was a little small, but the living area, huge bathroom, and incredible deck more than made up for it. I also toured 2 Queen Rooms, one with a full bay view and one with a partial view. These rooms were spacious with a seating area by the fireplace, and the bathroom could be opened up to look out into the room – opening it up even more. The staff was very friendly. 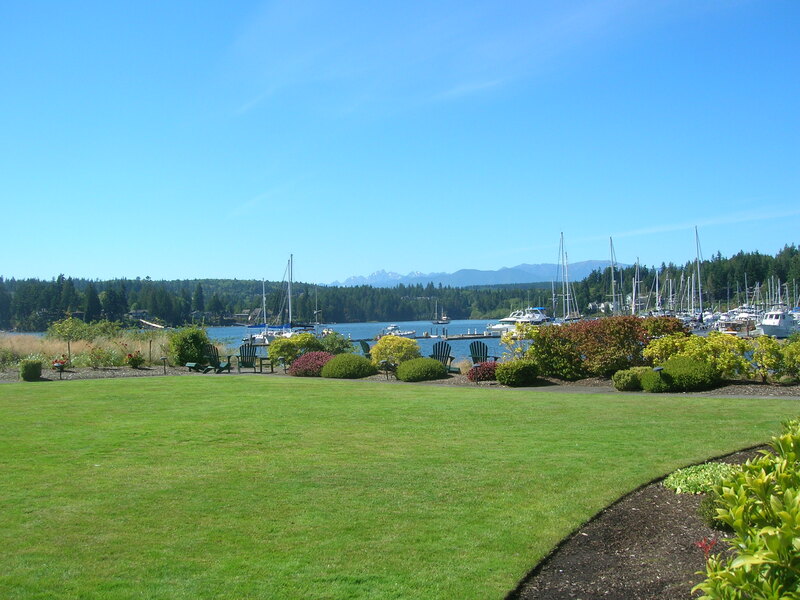 The Port Ludlow Golf Club is right there and they offer packages including golf. They also offer spa treatments right in your guest room. And the rates are very affordable, starting as low as $129 per night. 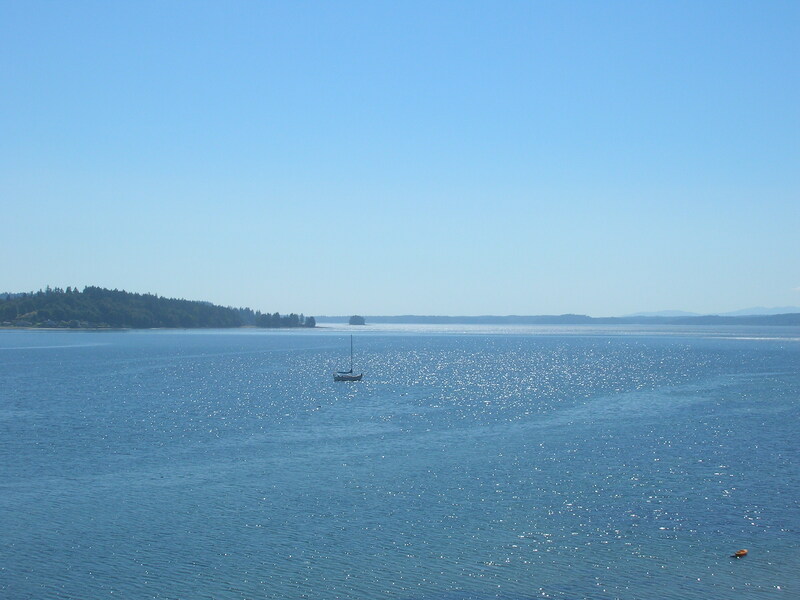 After my tour of The Inn at Port Ludlow, I headed up to Port Townsend. The Wooden Boat Festival was going on that weekend, so the town was crowded. I was fortunate to find a parking spot on the street for 2 hours, and set off on foot. This is an historical town with beautiful architecture was founded in 1792; it is full of shops, restaurants, museums, parks and more. I was pretty hungry by this time, and wanted to eat where I could look at the water. I wandered into the Belmont, which was established in 1889 and has a restaurant and hotel. The food and service were very good, although the restaurant itself looked a little tired. 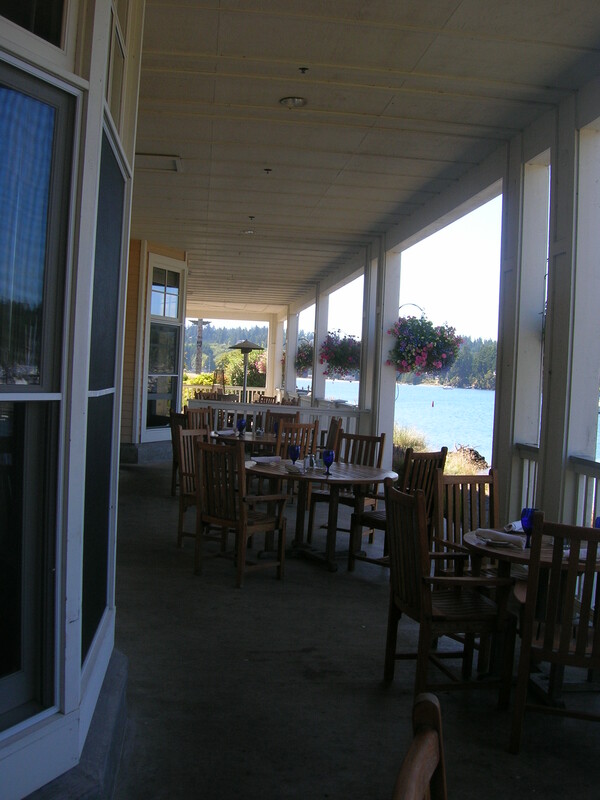 The view was fantastic, and I would recommend eating here if you’re visiting Port Townsend. After lunch, I wandered around, in and out of shops, took some pictures of the fabulous old buildings, and was intrigued to find a couple of interesting little hotels. 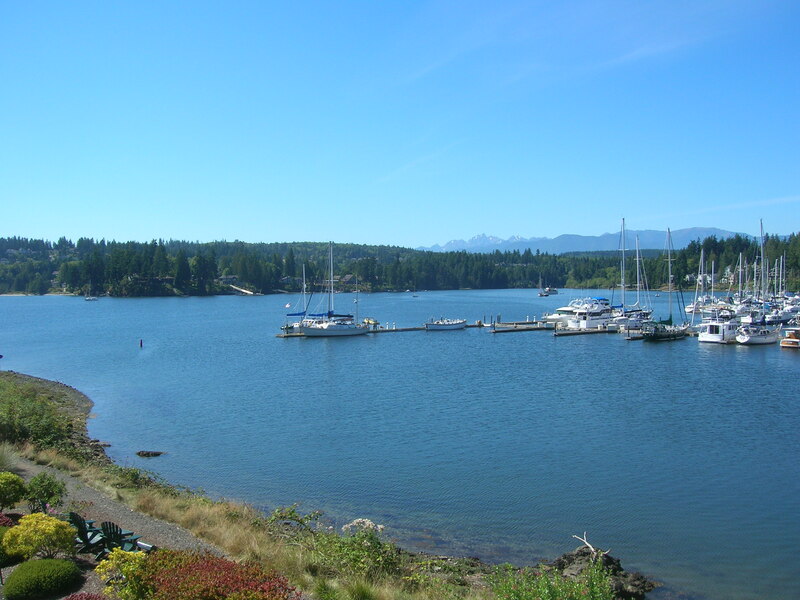 The Swan Hotel is right on the marina and offers wonderful views of both the Olympic and Cascade mountains as well as sea views. They were completely full so I wasn’t able to see the rooms, but from the outside it was very inviting. Their sister hotel, The Bishop Victorian Hotel & Gardens is located a couple of blocks inland in the Downtown Historic District. They, too, were full, but the owners were very inviting and gave me some information and history on both hotels. Depending on the time of year you visit, you might see whales, bald eagles, and deer. There are some great wineries in the area, for those wine connoisseurs out there. There are numerous events and festivals happening throughout the year, including Farmers Markets. I timed my drive so that I would hit rush hour in Bremerton on the way home. My advice would be either plan to stay at least until after dinner, or even better spend the night or even a weekend. You really need that much time to explore this area. I had a little time off a couple of weeks ago and decided to do some exploring in my local area. I had seen signs for the Aloha Beachside Bed & Breakfast, but had never actually seen it. I wasn’t sure exactly where it was, but it turns out I had driven right past it quite often. I pulled in without having made an appointment, hoping that I would be able to take a look around. The owner, Lalaine Wong, being full of the Aloha spirit took the time to show me around, even though she was in the midst of cleaning up after a busy weekend. I learned that there are 5 rooms at the Aloha Bed & Breakfast, and all come with a full breakfast. There are 3 rooms in the main house, and 2 more in the Cabana which is below the main house closer to the beach. 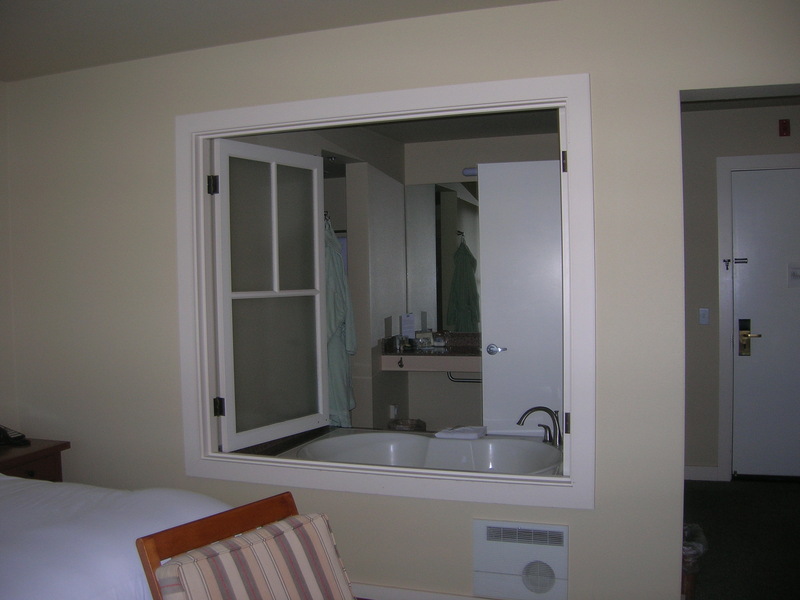 The best room in the main house is the King Kamehameha Room which has views out over the water (even from the tub in the huge bathroom) and direct access to the deck. This is also called the Honeymoon Suite. My next choice would be the Queen Liliokalani room which has a nice chaise lounge and working fireplace. This is a small room near the front door, but it does have it’s own private bath. The views from the deck on this level are stunning. 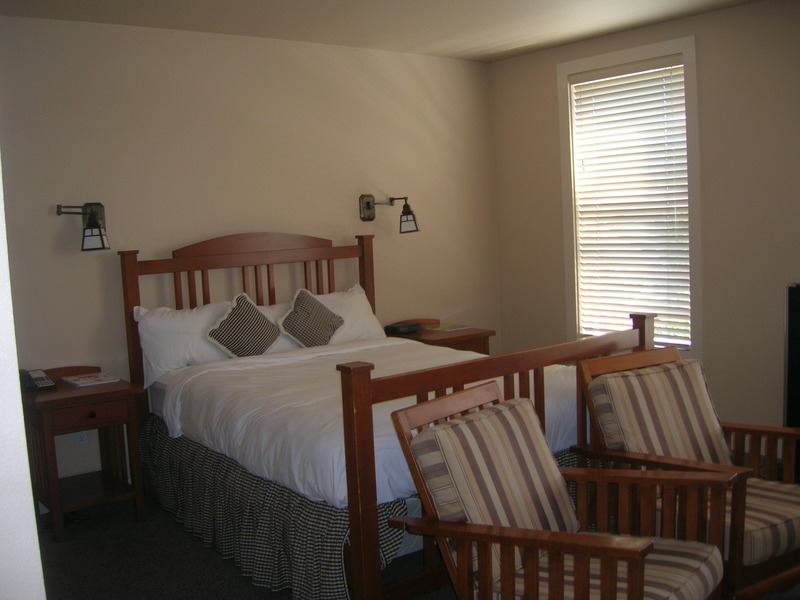 If you’re traveling with family, the Ohana Room is downstairs and includes a queen bed plus 2 twins; a full living room; a full kitchen and dining area. It also has a working fireplace. The Cabana would be the perfect place for a family or 2 couples traveling together. 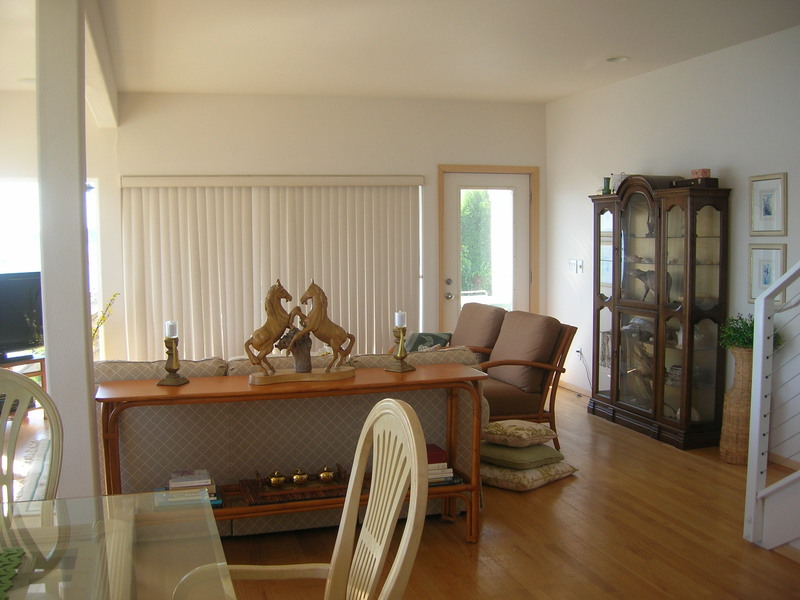 It has 2 bedrooms and a shared living room, full kitchen and dining area. 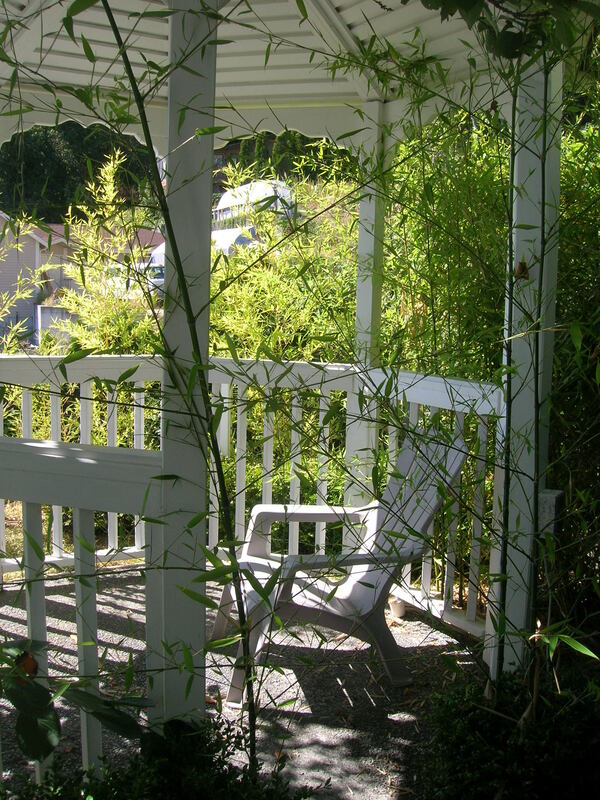 There is a small gazebo outside which would be a perfect place to sit with a book and relax for awhile. There is also a natural waterfall that can be seen from the deck of the Cabana. There are charming touches throughout the property, including a bench at the entry to the cabana. If you are looking for a place close to home to just get away for a night or 2, Aloha Beachside Bed & Breakfast is a great choice. 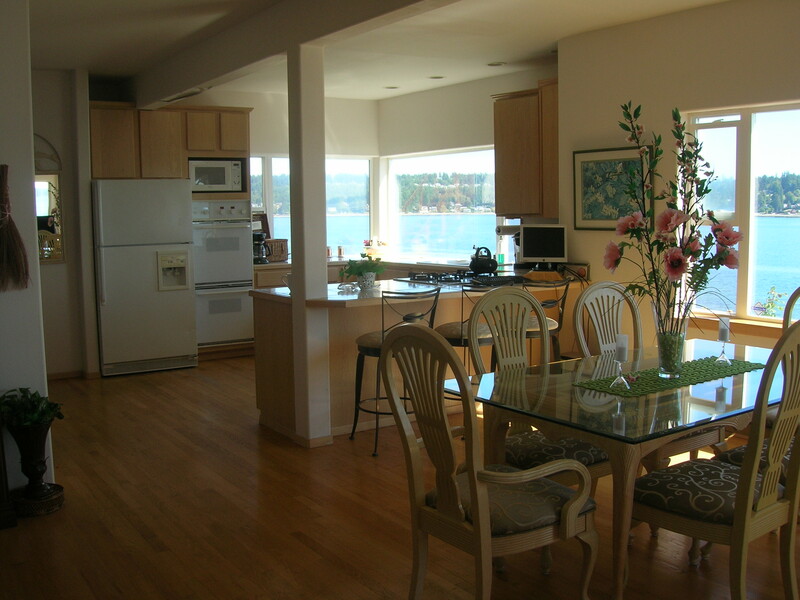 It is close to Gig Harbor with it’s charming waterfront full of galleries, shops and restaurants. 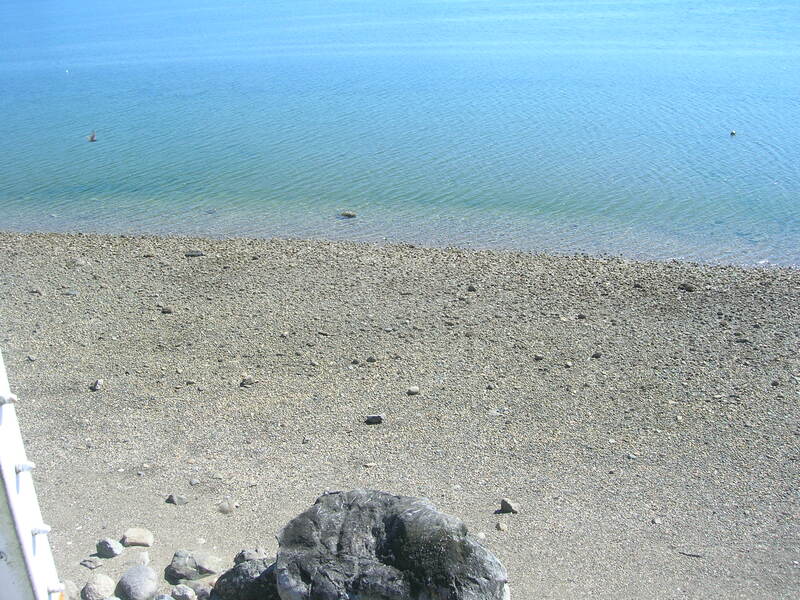 It is about an hour from Seattle, but will make you feel like you are an ocean away. And remember, Perfect Paradise Vacations can help you with your plans to stay here.